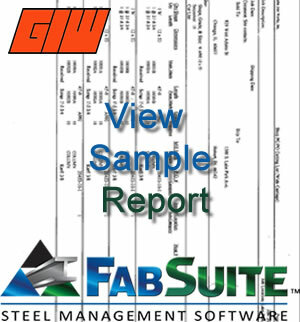 GIW has been at the forefront of the technological advances for the past 40+ years. 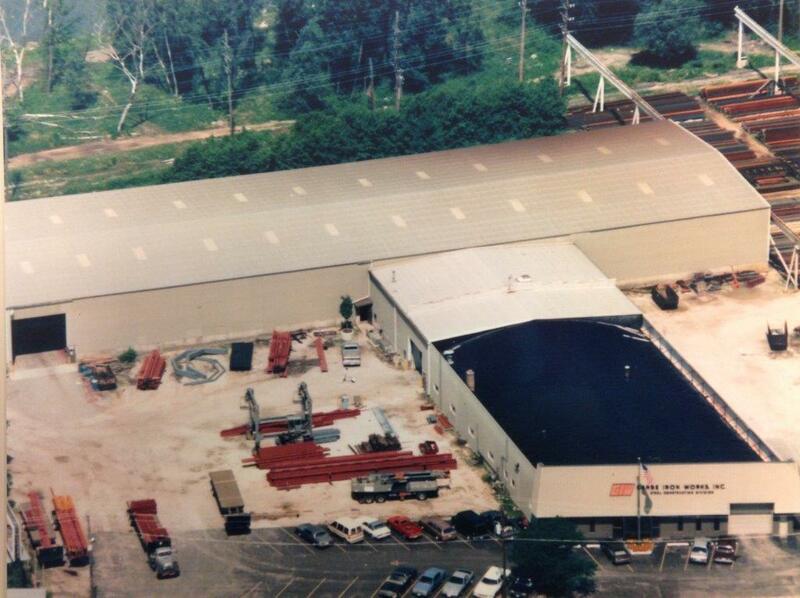 Our first NC controlled machine was on the shop floor in 1973. At about the same time we experimented with computerized detailing. While this may have been a bit premature, we continued to experiment until we became a full time participant with Sun Systems computerized detailing program in 1978. This system consisted of key punching the data at our drafting room, processing it on a large main frame in Texas, plotting the drawings in Philadephia, and mailing them to Aurora. While this approach still required a substantial amount of manual additions to the preliminary drawings, it prepared us for the eventual improvements, which we took advantage of when SDS-2 came on the market. Long before the PC systems of the 1990’s, we invested in an IBM main frame computer in 1978 and wrote custom software to batch process all of our administrative work, including inventory, estimates and project management/control capabilities. The custom software that was developed throughout the 1980’s was transferred to desktop slave computers and then to PC’s as the information industry evolved. 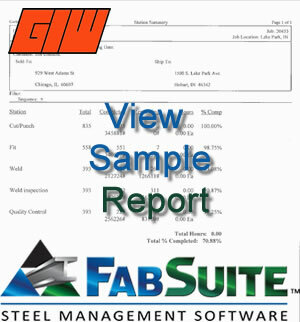 Today we have adopted the “FabSuite” steel mangement software and merged it with some of our internal software in order to take advantage of programs that generate our estimates, purchasing, inventory, production control, and project management. It is not simply the administrative functions that have changed. Currently all major shop operations have moved from manual to NC and finally CNC control. Whether it be shaping and punching plate or angle components or sawing, punching/drilling of main material such as wide flange beams or HHS tubes, the machines on the shop floor are fed directly from the computer generated shop drawings to the operator’s console and monitored as the raw material is fed into the machine. In the near future we will equip most workers on the shop floor with tablets to be used instead of paper lists and drawings. 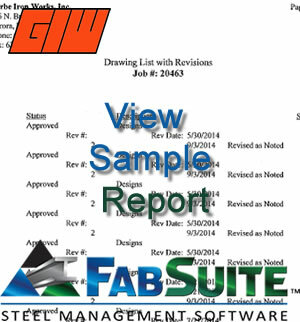 This will also be their method of providing feedback for inventory, cost accounting, and production status. 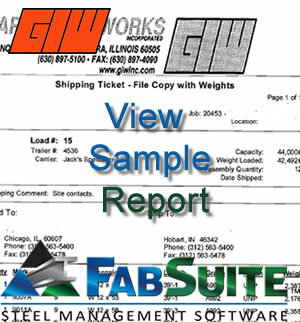 Here are several examples of the hundreds of possible custom generated reports that we use to increase our efficiency. All are available for sharing with our customers, if they can be of value in their project management.